“Science comes by observation, not by authority” Leonardo was born on 15 April 1452, the illegitimate son of Ser Piero, a Florentine lawyer, and Caterina, the maid at an inn in Vinci, a village in the foothills of Albana in Tuscany. Claimed by his father at the age of 4, he grew up in Florence and was apprenticed to the sculptor and painter, Andrea Verrocchio, in 1469. In 1472 he was registered as a master craftsman in the Guild of St Luke. Thus began the career of a man whose intellect and talent have never been surpassed. Artist, scientist, inventor, visionary and philosopher, Leonardo sought to unravel all the mysteries of life and the universe.1-2 He took all knowledge as his provence. 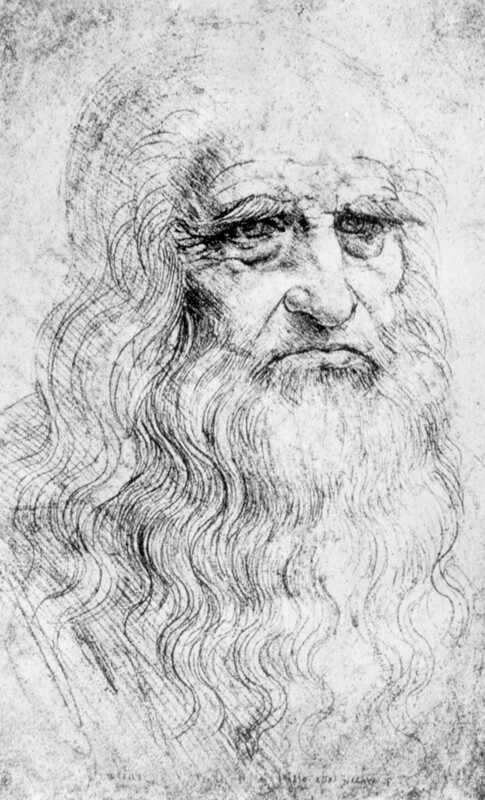 Leonardo da Vinci, 1452-1519. Self portrait in old age. Fetus in utero, circa 1505. 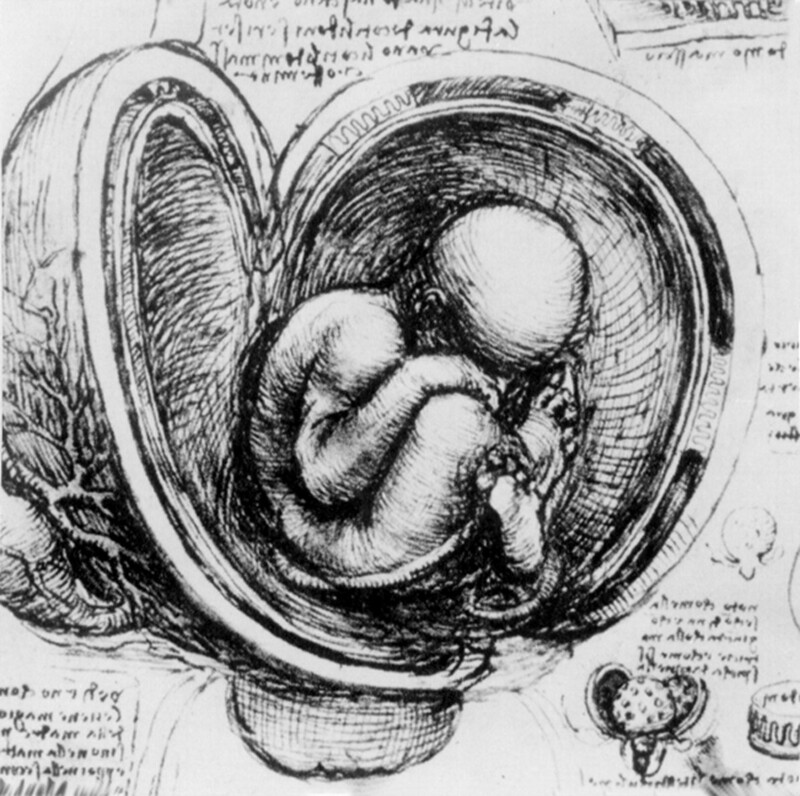 In appreciating that the maternal and feto-placental vasculatures did not communicate, Leonardo in part anticipated the discovery of the two separate circulations made by William Harvey (1651) and William Hunter (1774). (1954) The notebooks of Leonardo da Vinci. Vols 1-3. (Reprint Society, London). , ed (1974) The unknown Leonardo. (Hutchison and Co, London). 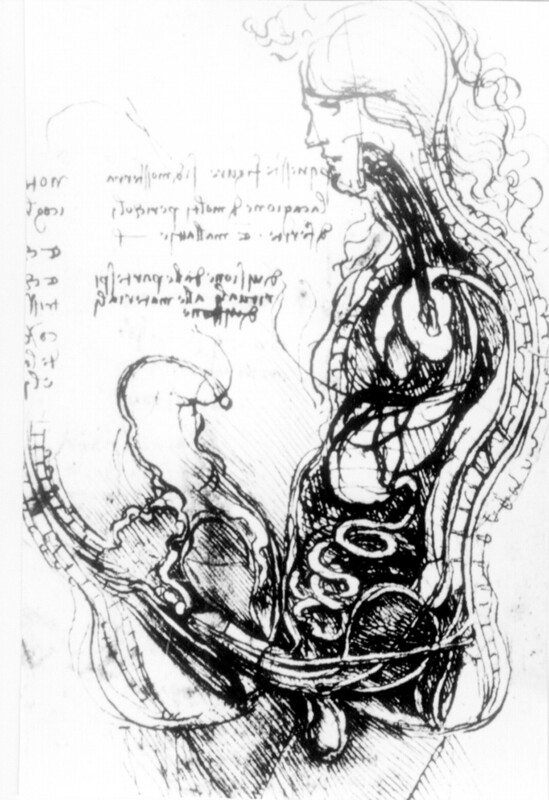 (1984) Leonardo da Vinci: anatomical drawings. Translated by D Macrae. (Productions Liber S A CH, Fribourg).